What’s better than a wintertime skate? 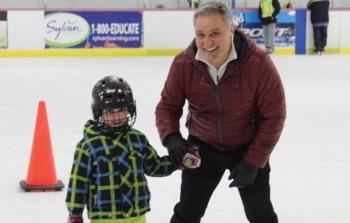 A free wintertime skate with family and friends courtesy of Councillor Anthony Perruzza. There were two free public skating events, the first taking place March 6th at the Gord and Irene Risk Arena and the second at the Habitant Arena on March 10th. For many, it was the start of fun for March Break. Perruzza and Staff were on hand to welcome residents and take to the Ice to enjoy the leisure time.